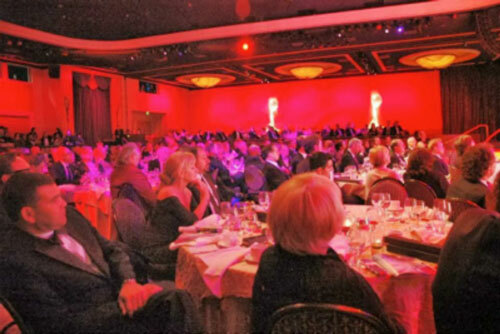 Like the TEA - Themed Entertainment Association itself, the Thea Awards were created to bring recognition to achievement, talent and personal excellence within the themed entertainment industry. From a modest beginning in 1994, the Thea Awards have become internationally recognized as a symbol of excellence. From the start of the TEA in 1991, the TEA’s founder, Monty Lunde, felt our industry represented some of the most accomplished yet under-recognized talents working in all of entertainment. Therefore after launching the TEA, and guiding it safely through the first critical years, Monty’s next priority was the creation of an award that would bring recognition and prestige to the people of our industry. The name of the award is a play on three words: The first is “Thea,” the Greek goddess from whom all light emanates. Thea was the mother of Helios (the sun), Eos (the dawn) and Selene (the moon). The second key word is “Theater,” a word which derives from the goddess Thea. The third word, of course, is “TEA,” the name of our association. The original Thea and AOA (Award for Outstanding Achievement) trophies were designed by Barry Howard and Jeremy Railton. The new Thea, which debuted in 2001, was designed by Zofia Kostryko. The first year’s ceremony was produced by Ron Miziker of Miziker & Company, and the event was coordinated by Jana Love with Monty Lunde serving as Chairman of the Awards Ceremony Committee and master of ceremonies. It was held at the Biltmore Hotel in downtown Los Angeles and was attended by over 200 people. 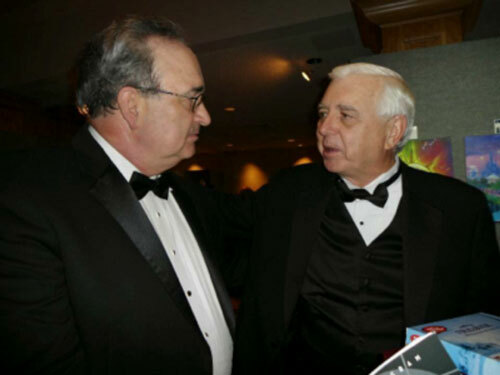 The evening was partly a tribute and partly an affectionate “roast” of Buzz, although at least one speaker came with the impression that it was a men-only “smoker” and mortified the guest of honor and the ladies present with his presentation. Overall, the balance of the evening was magnificent. Many of us were so astonished by the sight of each other in tuxedos and evening gowns that we agreed to do it again the following year. The objective of the Thea Awards is simple: To find excellence and celebrate it. It is not a judgment of winners and losers. The achievements selected for awards are chosen because they represent the excellence found throughout the themed entertainment industry. This simple philosophy guides the entire Thea process. There are no surprise announcements, no secret names in envelopes, no division of attendees into winners and losers at the Thea Awards. Everyone walks in a winner and leaves as a winner. This Thea tradition brings our industry together for a completely positive evening. Membership in the TEA is not a requirement or a consideration in judging. Excellence is our only standard. Within the AOA there are no set categories. The TEA is free to honor several achievements in the same category or to skip categories, as the year’s achievements warrant. The AOA honors the entire achievement and everyone who worked on the achievement, rather than individuals, such as Best Director or Best Art Director. We ask the owner of the achievement to designate the individuals who will come to the podium to collect the award on behalf of all of the people and companies who contributed to the achievement. These two Thea traditions remove the TEA from the impossible task of trying to determine or arbitrate credits (an issue in which the TEA has no legal standing – at least not yet) and it spreads the sense of honor and accomplishment to all who worked on the achievement. Thus the Thea Awards become an event that brings us together rather than one that tears us apart. To receive a Thea Award, the owner of the achievement must publish credits. In this way, the Thea Awards established the very first standards and requirements for credits in our industry. This tradition was immediately embraced by Disney, Universal and many of the large companies which had previously resisted publishing credits. The creation of our industry’s first credits may be Thea’s greatest accomplishment to date. Also noteworthy in 1996, as a variation of the usual Lifetime Achievement Award, the TEA gave a special AOA for Outstanding Individual to Monty Lunde, the founder of the association. In 1997 two additional special categories of the AOA were created. Excellence on a Limited Budget (assuring annual recognition for one or more achievements created for less than $5 million) and the Thea Classic Award, honoring one achievement each year, which has stood the test of time. 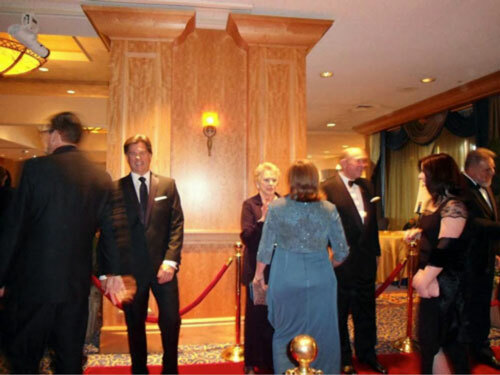 The Thea Awards Gala has become THE social event of the year within our industry. In spite of limited budgets, our all-volunteer production teams comprised of enthusiastic TEA members have created a series of great awards shows — each one topping the previous. But the overriding objective remains to find excellence and celebrate it — a search for projects that call attention to the excellence that exists throughout our industry. As we look to the future, the Thea Awards will continue to grow, evolve and change, never forgetting their original objective of bringing recognition to achievement, talent and professional personal excellence within our themed entertainment industry.